Eco Rent A Car, a professional car rental and ground transportation company since 1996 has been felicitated with the National Tourism Award for outstanding performance as a Tourist Transport Operator in Category-I for the assessment year 2015-2016. 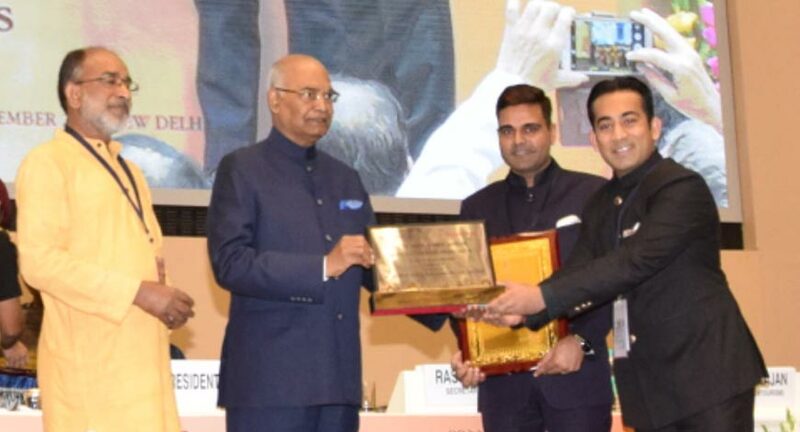 Held at New Delhi’s Vigyan Bhawan, the award was presented by Hon’ble President of India, Shri Ram Nath Kovind. Aditya Loomba, Joint Managing Director and Satpal Singh, Director, received the award. This is the third consecutive year that Eco Rent A Car has bagged this award. Eco manages ground transportation for over 1.5 million business and leisure travelers every year. “This award is truly humbling and very special to us. This year, we are exceptionally thrilled to make our hat trick at this prestigious awards ceremony. It wouldn’t have been possible without the backing of our valuable customers, team and supporters. We are passionate and professional but at the same time, we keep our customers as the focal point, which has helped us achieve their trust and confidence in such great measure”, said Mr. Rajesh Loomba, Managing Director at ECO Rent A Car. Initiated in 1996 by Khem Raj Loomba post his retirement from the Indian Army, Eco Rent A Car started its operations with three cars in the capital city and has grown in size over time. The company now has more than 500 people managing a fleet of over 3,000 vehicles. Currently, it has offices across 60 cities across India. Eco Rent A Car maintains a diverse fleet, ranging from economy vehicles such as Toyota Etios, Honda Amaze to luxury cars BMW 7 series , Audi Q7 and a large range of Coaches and Luxury vans like Toyota Commuter, Coaster, Mercedes Sprinter, Tata and Volvo Coaches etc. Additionally, two Chrysler limousines have been imported from the U.S. to cater to the luxury segment and wedding industry.